Sadie (Brianna Hildebrand) and McKayla (Alexandra Shipp) are best friends and do pretty much everything together. Most notably, they run an online channel together where they discuss true crime cases with which they’re both fascinated. Trying to gain popularity for themselves and their show, they try to catch a serial killer in the area. But when they do catch up with him, a simple capture seems not enough anymore. 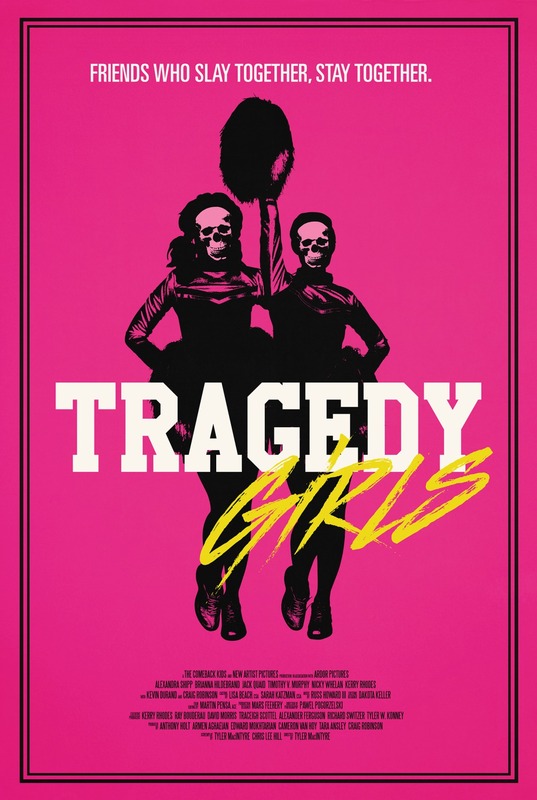 Tragedy Girls is a very entertaining film, even if it doesn’t revolutionize the “twist on the slasher-movie” counter-genre that is now its own genre. I had fun all the way through.